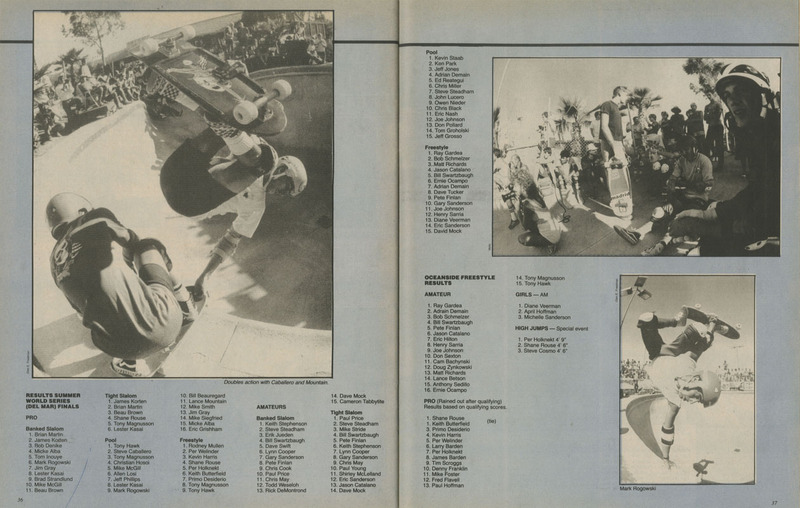 This event was the final event in the Southern California World Series of Skateboarding Contest Series. As streetstyle skateboarding was beginning to thrive, freestylers were banned from performing vertical or streetstyle moves in their routines under threat of disqualification. This contest was originally planned to be Rodney Mullen’s final freestyle competition, however he would return within 1 year.